PUG COSTUMES FOR KIDS THIS HALLOWEEN! Its almost halloween and what kid doesnt want to dress up as our favorite furry animal?!? Here are the best pug costumes for kids. 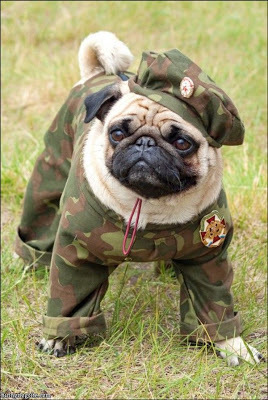 There are some great cheap pug costume ideas here and lots of links about where to buy the best costume for your little one. 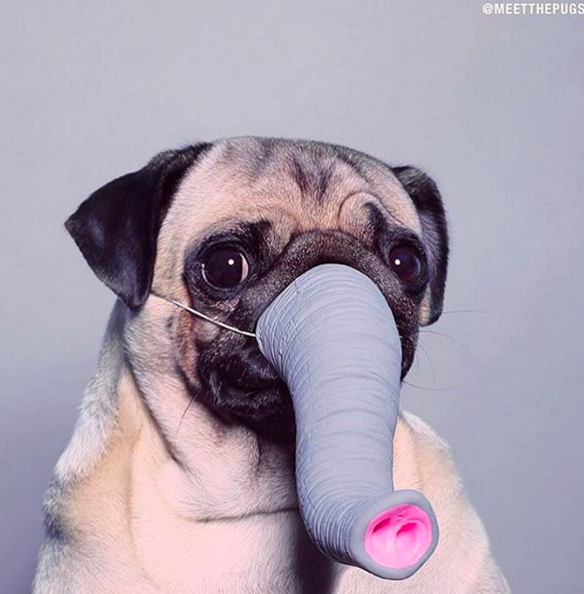 Scroll down for some more pug mask ideas and some pug baby costumes too! 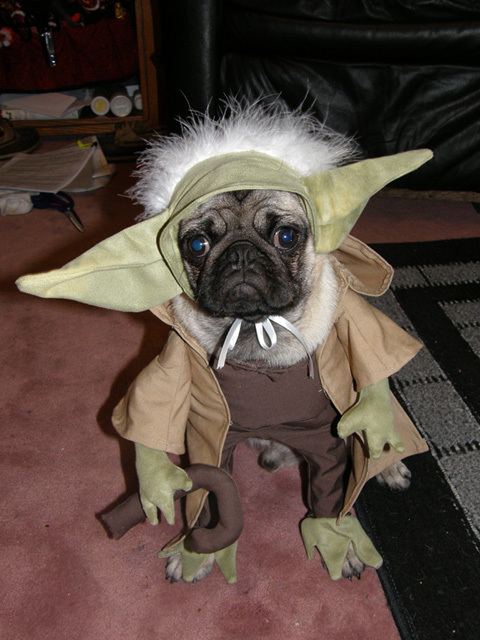 Happy Howl-o-Ween!Here are the best re-animated pug halloween costume gifs out there! Do you love pugs? Do you love halloween? Then smash em together and go to puppy heaven cause here are the best best best pug halloween gifs ever! Meet PixieBelle! She's the cutest fawn pug around. PixieBelle and her little sister LulaBee love dressing up, reading books, and driving around their home town of Plano Texas in Pixie's new Viper convertible! 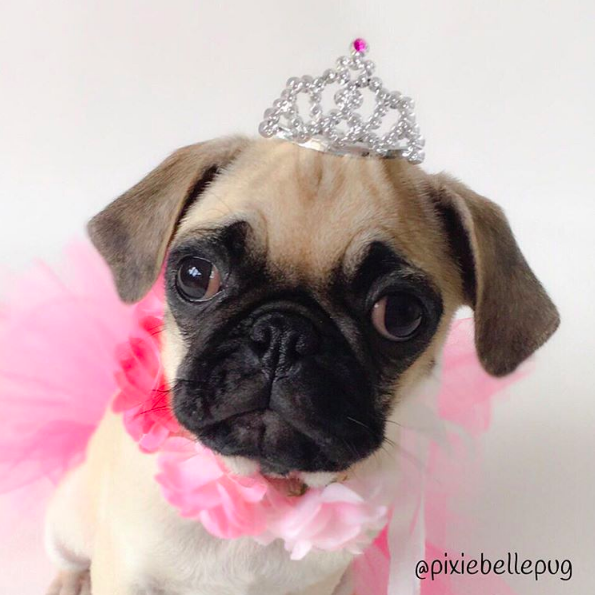 We had the pleasure of interviewing PixieBelle and LulaBee for our new feature "Pug Talk"! Where did you get the name PixieBelle from? Well, as my mommy tells it, I was too sassy to be named anything too sweet and pixies are spunky, but also a bit magical! She added the Belle because as ya’ll know, we live in the south! I see you have a little sister, where did she get the name LulaBee? The mommy said there were enough Lulus running around already so they chose Lula and added the Bee because she’s always buzzing around me and being a little pest! Wow, LB is definitely a LITTLE sister. How old are you guys? I am a sophisticated 5 year old and LulaBee is a sassy 4 month old! I must say, you dont look a day over 3! How do you feel about being a big sister? Well, it’s pretty fun most of the time. I love all the extra treats I get! When LB gets treats for going potty I think it’s only fair to expect one, as well. After all, I am her role model! All the nipping she does on me neckfluff can be a real pain in the tushie though! I hear ya, nobody likes getting neck bites. Though I'm sure as a big sister you can show LB the ropes. What's your greatest talent? I am a fairly good model, if I do say so myself, but what I really excel at is hogging the entire bed when I sleep at night. I am also a professional squeaker destroyer. My record is 11 in less than 30 minutes! OMG, 11 squeekers! There should be an olympic event for that! So, when you're not eating toys what's your favorite snack/treat? Hmm…my favorite treat is anything the mommy is eating! And what's your favorite activity? Let’s see, sleeping is pretty good, barking at stuff is fun, chasing the FedEx truck is awesome, but I’d have to say my favorite activity is EATING! PB, I see you just got a new car! So exciting, do you need a drivers license? I did! It’s a Viper convertible! I look fab in it, too! I think I only need a license if I get caught! PB, Do you have a favorite toy? I absolutely LOVE my Barkmade Peas in the Pod!! They fit perfectly in my mouth and they’re too small for LulaBee to steal away from me! PB, describe your dream date? Well, my bae Alphie alphie.and.teddy.pugtakes me dancing! I love to wear my high top Converse and burn up the dance floor with him! What does a typical day look like for you and LB? I wake up at 5:45 am every morning, even weekends, for breakfast. I try to wake the mommy up at 5:00, but she’s so lazy she won’t let me! Then I like to snuggle on the sofa with her as she drinks her coffee before work. After she leaves I get stuck babysitting the Bee until she gets home after school is out, so we usually spend the day barking at people who have the nerve to walk down our street, chasing the trash truck down the alley (through the fence of course) and napping. Once the mommy gets home it’s all about walkies, treats, dinner, treats and bedtime! We are so thrilled to be featured by PugCity! It is such an honor. Momo has always been one of our favorite pug friends! Her jokes keep us rolling! 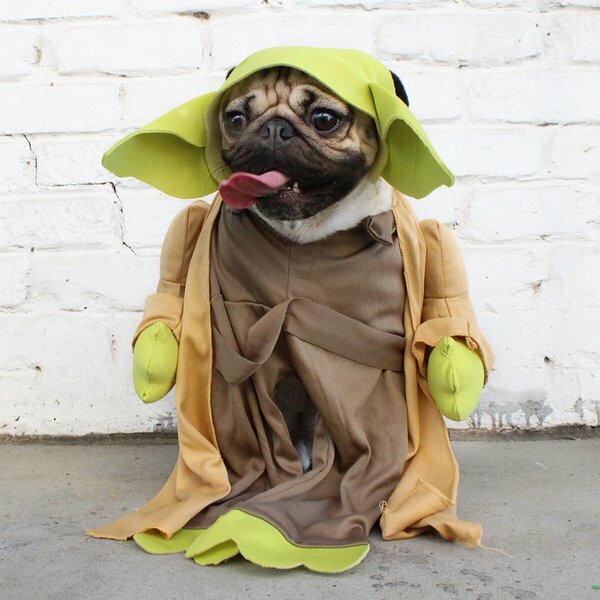 Enjoy the slideshow above with some of the cutest pug costumes, including Mr T Pug, Game of Thrones Pugs, Star Trek Pugs, Star Wars Pugs, and more! Then below we list our top 10 favorite pug costumes for 2017 aaaaaaand if that wasnt enough, we compiled the pug mega costume list! 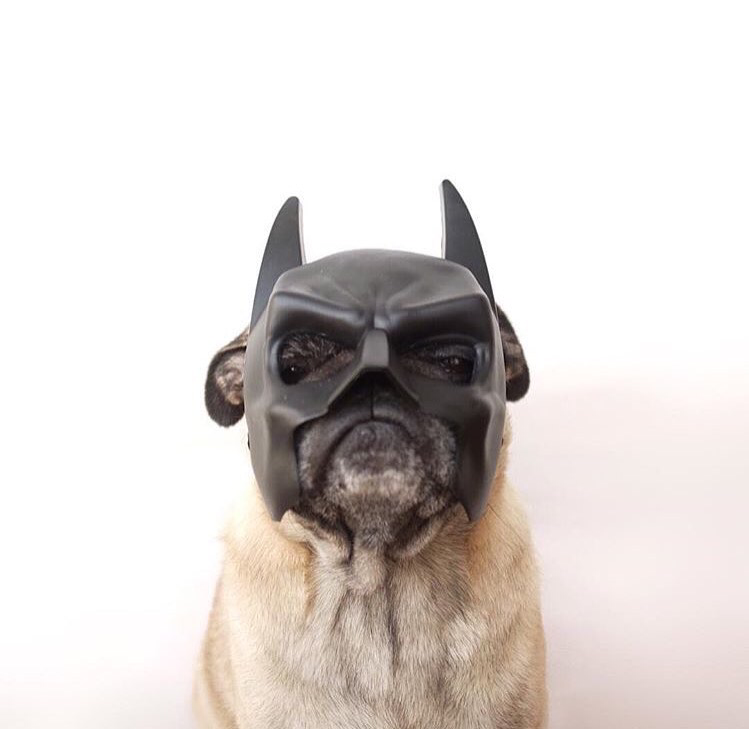 Over 150 pugs in costumes to give you awesome ideas for halloween or just bringing a smile to your face! Enjoy! 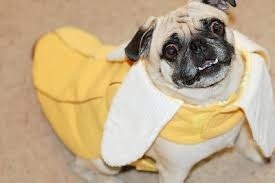 Did you guys know there is a whole subset of pugs dressed like banannas? Well now you do! 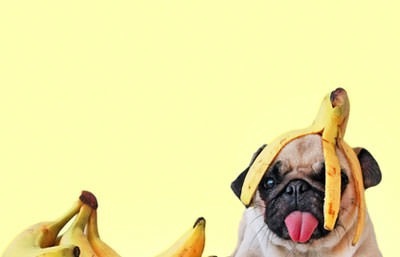 Every pug loves a delicious banana. But watch out. You know the old saying "you are what you eat?" Well, someday perhaps all those bananna pug dreams will come true. 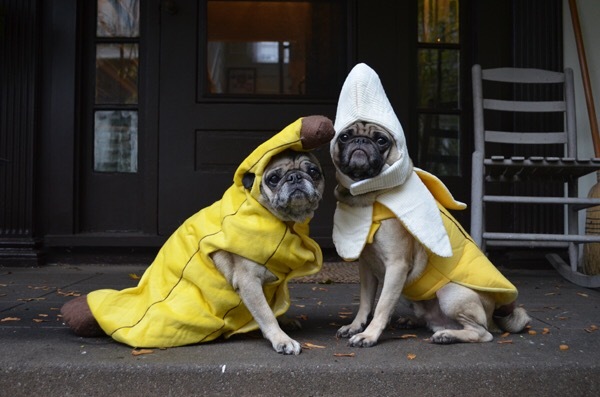 Best banana pug costumes on the web? Yes!!!!! Jewish pugs are back! Though most pugs are non-denominational, there are a few pugs who stick to their Jewish roots. 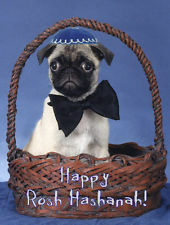 I imagine that most pugs convert to Judaism during the holiday of Hanuka. We know Puguka as the festival of Lights AND sugar coated jelly filled donuts. Now, your talkin my language. Pugs of all religions love donuts! Hanuka is one of Momo's favorite holidays. She gets a donut aaaaaaand its 8 crazy nights of treats treats treats!!! That's enough to make any Pug Jewish. 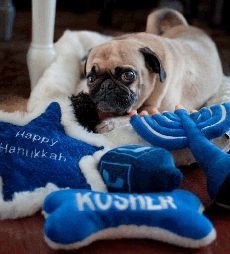 So Momo scoured the web and found the very best pug hanuka and Jewish Pug pics. I know her mom could finally rest easy if she found a nice young Jewish pug to finally settle down with. Where are my 8 grandpuppies!! Jewish pugs always ask "are those treats kosher?" ok, time to trade in that dreidel gelt for a lamb shank! Being a pug at Hanuka rules! 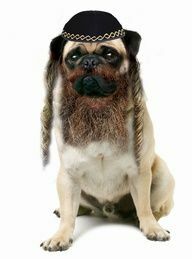 The eternal Jewish pug problem. Is my kippa on straight? are you sure this is how we play pug dreidel? oh wait, thiiiiis is how you play pug dreidel! Jewish pugs of the world unites! And a happy pug channuka to you all! More favorite costumes of 2015. So political! Hillary Clinton and Donald Trumo Pugs! What do these two political parties have in common? Sausages. a political message any pug could get behind! ITS TIME FOR THE CUTEST THING EVER. Did you know pugs are nerds? My favorite pics of pugs with glasses! Who knew that pugs wearing glasses was the best? And by the way, how do they keep the glasses from falling down their tiny pug noses!? May the force be with you! 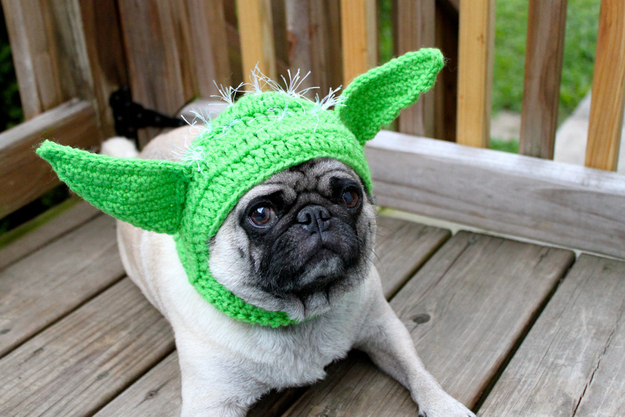 Continuing all the star wars pug enthusiasm here are the best pics of yoda pugs out there! 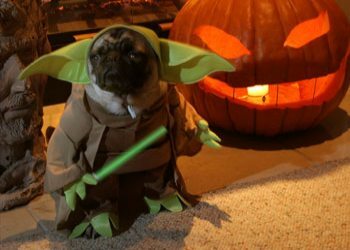 NEXT: STAR WARS PUG COSTUMES AND GIFS! More of the shiny best pug costumes around! Who doesnt love a cute little snuggly spooky pug? Just give em da treats already!